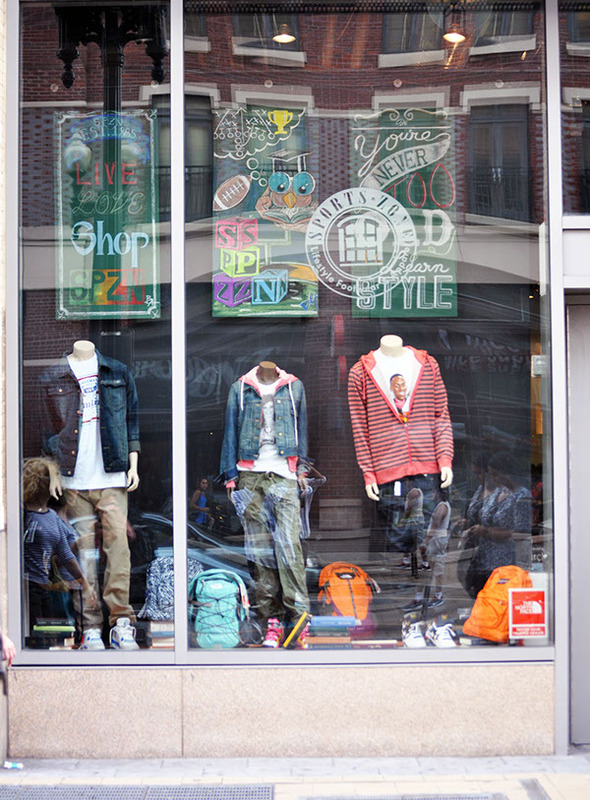 Towards the end of my internship with Sports Zone Elite, I designed chalkboard drawings for the back-to-school window displays under the creative direction of Dara Nuon and Alex Hernandez. For three weeks, along with Bejan Amer and Dan, we prepped by making custom chalkboards then turning around and applying the designs to them. We covered 25+ stores in the DC-MD-VA area.